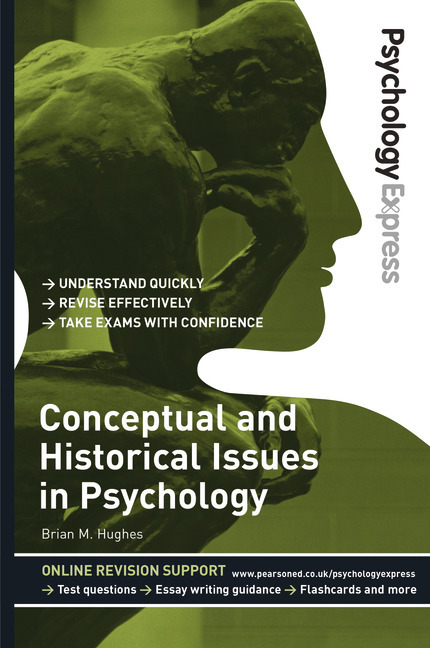 This revision guide provides concise coverage of the central topics within Conceptual and Historical Issues in Psychology, presented within a framework designed to help you focus on assessment and exams. The text encapsulates all the subject matter listed in the BPS Qualifying Examination syllabus for Conceptual and Historical Issues in Psychology. The sequence of chapters is organised temporally, and focuses on how the major conceptual issues in psychology have been handled over time. Further, in each case, the relevance of historical discourses to contemporary psychology is emphasised. Sample questions, assessment advice and exam tips drive the organisation within chapters so you are able to grasp and marshal your thoughts towards revision of the main topics. Features focused on critical thinking, practical applications and key research will offer additional pointers for you in your revision process and exam preparation. Chapter 7 Neuroscience and Genetics: 21st Century Reductionism? Chapter 8 Can Psychology Be Scientific? Review the key topics required by the BPS Qualifying Examination syllabus for Conceptual and Historical Issues in Psychology.